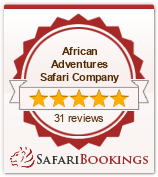 If you have wanted to give your family the ultimate holiday but thought it was impossible then this is the safari for you. I have designed this adventure for the whole family to participate in from the very young to the sometimes difficult adolescent. By the way don’t let your teen read this outline because they hate being called adolescents. The fun begins in Johannesburg after your flight from home. You will be met at the airport and escorted to your accommodation for the night at Africa Sky Lodge. In the morning you will be transferred back to the airport for your flight into Kasane in Botswana, your gateway to true wilderness and wildlife. I will be waiting at the airport to start our adventure and we will travel through the top end of Chobe National Park to the border with Namibia. Here we will cross into the famous Caprivi Strip and head for the water wilderness of Mazambala Island. Upon arrival we will transfer to a boat for our river trip to the lodge. For the next two nights you will be surrounded by the Kwando River wetlands, hippos and elephants. After the excitement of water and land based safaris we will travel back to Kasane in Botswana to the beautiful Chobe Safari Lodge. Here we will spend our time in search of the big cats as this area is famous for its large herds of game at this time of year and the big cats follow. Nothing is guaranteed but lion and leopard are permanent residents of this area so we will pursue them by land and on the Chobe River itself. From wildlife we will swap to ‘wild times’ as we hit the adventure capital of Africa, Victoria Falls. After a visit to these magnificent World Heritage listed falls you will be able to spend your time doing as much or as little as you like. The town of Victoria Falls has a vast array of activities to participate in and these range from the world’s best white water rafting through to elephant back safaris and walking with lions. There is something to suit all ages in Victoria Falls and there is no chance that the kids will be glued to a computer or some electronic form of entertainment when they have so much real life adventure to pursue. Just walking through town they will encounter baboons and wart hogs and even the occasional elephant! After our time in The Falls we will head south to one of the great national parks of Africa, Hwange. This vast park, the size of Belgium, is home to all the major species of animal to be found in Africa and the remoteness of our lodge adds to this wilderness experience. 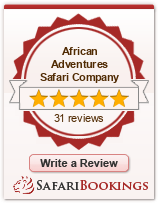 Sable Sands Safari Lodge is a family run operation and the owners, Marleen and Brian, have two young children of their own. It is here that your family can pursue more wildlife or even have the opportunity to visit a local village and meet kids their own age at a village school. This is the ultimate bush adventure for kids. From Hwange we will travel to the World Heritage listed Matobo Hills outside of the ancient capital of the Matabele Tribe, Bulawayo. At Camp Amalinda the family will be part of nature as the rooms are built into the living rock and you are surrounded by nature. Here we will see unique landscapes and tribal cultural sites and I will even take the kids out on foot to track zebra, impala and all manner of small animals. One of the highlights of the entire safari will occur in these ancient hills as you will all have a once in a lifetime opportunity to track wild rhino both by vehicle and on foot. Local legend, and rhino expert, Ian Harmer will provide an exciting half day safari as he takes you on foot to track these now endangered monsters. Ian is an expert and the kids could not be in safer hands as they discover the true meaning of ‘safari’.